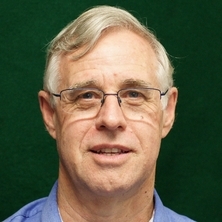 Marc Hockings is an Emeritus Professor School of Earth and Environmental Sciences at the University of Queensland. He maintains an active research program on the management of protected areas with a particular focus on monitoring and evaluation in conservation management. He is a long-term member of the International Union for the Conservation of Nature (IUCN) through its World Commission on Protected Areas where he leads the global program on Science and Management of Protected Areas. He initiated and is leading the IUCN WCPA work on the Green List of Protected and Conserved Areas. He is also a member of the Commission’s Executive Committee. Marc was the principal author of the IUCN’s best practice guidelines on evaluation of management effectiveness in protected areas. He is an honorary Senior Fellow at the UNEP World Conservation Monitoring Centre in Cambridge, UK. In 2008 he received the Kenton R. Miller Award for Innovation in Protected Area Sustainability for his work on management effectiveness. Professor Hockings has lead development of research on management effectiveness evaluation of protected areas. He has developed an approach to assessment of management effectiveness (IUCN WCPA Management Effectiveness Framework) that is now widely used around the world by governments and NGOs, has been adopted by the Global Environment Facility as a required element of assessment for all GEF funded projects in protected areas and incorporated into the Convention on Biological Diversity's Programme of Work on Protected Areas. Assessments based on this methodology have been conducted in more than 18000 protected areas in 180 countries. Journal Article: Data credibility: What are the 'right' data for evaluating management effectiveness of protected areas? Journal Article: What constitutes success in Pacific Island community conserved areas? Journal Article: Management effectiveness: Assessing management of protected areas? Data credibility: What are the 'right' data for evaluating management effectiveness of protected areas? Management effectiveness: Assessing management of protected areas? Hockings, Marc, James, Robyn, Stolton, Sue, Dudley, Nigel, Mathur, Vinod, Makombo, John, Courrau, Jose and Parrish, Jeffrey Enhancing our heritage toolkit: Assessing management effectiveness of natural World Heritage sites. Paris, France: UNESCO, 2008. Hockings, Marcus, Stolton, Sue, Leverington, Fiona, Dudley, Nigel and Courrau, Jose Evaluating effectiveness a framework for assessing management effectiveness of protected areas 2 ed. Edited by Peter Valentine Gland, Switzerland; Cambridge, U.K.: IUCN - International Union for Conservation of Nature and Natural Resoruces, 2006. Hockings, M. T., Stolton, S. and Dudley, N. Evaluating Effectiveness: a framework for reassessing the management of protected areas. Cambridge, UK: IUCN, 2000. Hockings, Marc, Leverington, Fiona and Cook, Carly (2015). Protected area management effectiveness. In Graeme L. Worboys, Michael Lockwood, Ashish Kothari, Sue Feary and Ian Pulsford (Ed. ), Protected area governance and management (pp. 889-928) Canberra, ACT, Australia: ANU Press. Armenteras, Dolors, Finlayson, C. Max, Agard, John, Butchart, Stuart H. M., Carino, Joji, Cheung, William W. L., Collen, Ben, Firbank, Leslie G., Hales, Simon, Hockings, Marc, Hoft, Robert, Kitzes, Justin, McGeoch, Melodie A., Prip, Christian, Oldfield, Thomasina E. E., Redford, Kent H., Toivonen, Heikki, Burgess, Neil, Baudoin, Mario, Bertzky, Bastian, Dudley, Nigel, Fuentes, Rod, Galli, Alessandro, Kapos, Valerie, Krueger, Linda, Gohale, Yogesh, Kothari, Ashish, Ingram, J. Carter, Ramirez, Camilo Garcia, Laffoley, Dan, Scharlemann, Jorn P. W., Stanwell-Smith, Damon, Robinson, John G., Verschuuren, Bas, von Braun, Johanna, Bavikatte, Kabir, Shrumm, Holly and Morales Rivas, Monica (2012). Biodiversity. In United Nations Environment Programme (Ed. ), Global environment outlook GEO 5: environment for the future we want (pp. 133-166) Nairobi, Kenya: United Nations Environment Programme. Dudley, Nigel, Hockings, Marc and Stolton, Sue (2010). Precious places: Getting the arguments right. In Sue Stolton and Nigel Dudley (Ed. ), Arguments for protected areas: Multiple benefits for conservation and use (pp. 253-264) London, U.K. ; Washington, DC, U.S.A.: Earthscan. Lockwood, M., Worboys, G., Zeller, D., Marsh, J., Hockings, M. T., Leverington, F. J., Stolton, S. and Dudley, N. (2008). The functions and processes of protected area management. In Stuart Chape, Mark Spalding and Martin Jenkins (Ed. ), The world's protected areas: Status, values and prospects in the 21st century (pp. 120-145) Berkeley, CA.,U.S. : University of California Press. Hockings, Marc, Leverington, Fiona and James, Robyn (2006). Evaluating management effectiveness. In Michael Lockwood, Graeme L. Worboys and Ashish Kothari (Ed. ), Managing protected areas: A global guide (pp. 635-655) London, U.K.: Earthscan. Hockings, Marc, Leverington, Fiona and James, Robyn (2005). Evaluating management effectiveness. In Graeme L. Worboys, Michael Lockwood and Terry De Lacy (Ed. ), Protected area management: Principles and practices 2 ed. (pp. 553-568) Oxford, U.K.: Oxford University Press. Hockings, M., Stolton, S. A. and Dudley, N. (2004). Com s’ha d’avaluar l’efectivitat? Pautes per al disseny de polítiques i la gestió d’espais naturals protegits. In Josep Maria Mallarach i Carrera, Josep Vila and Diego Varga (Ed. ), El PEIN deu anys després: Balanç i perspectives (pp. 29-40) Girona, Spain: Universitat de Girona, Cátedra de Geografia i Pensament Territorial. Leverington, F. and Hockings, M. T. (2004). Evaluating the effectiveness of protected area management: The challenge of change. In C V Barber and K R Miller and M Boness (Ed. ), Securing protected areas in the face of global change: Issues and strategies First ed. (pp. 169-212) Gland, Switzerland ; Cambridge, U.K.: IUCN Publications Services Unit. Hockings, M. T. (2003). Indicators. In An assessment of the values of Kosciuszko National Park (pp. 287-294) Fyshwick, ACT: NSW National Parks and Wildlife Service. Dudley, N., Hockings, M. T. and Stolton, S. (1999). Measuring the effectiveness of protected area management. In N. Dudley and S. Stolton (Ed. ), Partnerships for protection: New strategies for planning and management for protected areas (pp. 249-257) London: Earthscan. Defining marine protected areas: a response to Horta e Costa et al. Maron, Martine, Laurance, Bill, Pressey, Bob, Catterall, Carla P., McAlpine, Clive, Possingham, Hugh, Watson, James, Rhodes, Jonathan, Wilson, Kerrie and Hockings, Marc (2016, February 22). Queensland land clearing is undermining Australia’s environmental progress. , . How accurate is the local ecological knowledge of protected area practitioners? Sandwith, Trevor, Enkerlin, Ernesto, MacKinnon, Kathy, Allen, Diana, Andrade, Ange;a, Badman, Tim, Brooks, Tom, Bueno, Paula, Campbell, Kathryn, Ervin, Jamison, Laffoley, Dan, Hay-Edie, Terence, Hockings, Marc, Johansson, Stig, Keenleyside, Karen, Langhammer, Penny, Mueller, Eduard, Smith, Tanya, Vierros, Marjo, Welling, Leigh, Woodley, Stephen and Dudley, Nigel (2014) The Promise of Sydney: an editorial essay. Parks: The International Journal for Protected Area Managers, 20 1: 7-18. Improving technical information use: what can be learnt from a manager's perspective? Stoll-Kleemann, Susanne, Kettner, Anne, Leverington, Fiona, Nolte, Christoph, Nielsen, Greta, Bomhard, Bastian, Stolton, Sue, Marr, Melitta and Hockings, Marc (2012) Erfassung der managementeffektivitaet in Europas schutzgebieten: Ein beitrag zur erfuellung der biodiversitaets-konvention. Naturschutz und Landschaftsplanung, 44 2: 37-44. Dudley, Nigel, Higgins-Zogib, Liza, Hockings, Marc, MacKinnon, Kathy, Sandwith, Trevor and Stolton, Sue (2011) National Parks with benefits: How protecting the planet's biodiversity also provides ecosystem services. Solutions (Burlington): For a Sustainable and Desirable Future, 2 6: 87-95. Herron, A. H., Neil, D. T. and Hockings, M. T. (2008) Post-hurricane Katrina: building frameworks for incorporating social-ecological resilience. Development, . Pavese, H. B., Leverington, F. J. and Hockings, M. T. (2007) Global study of protected areas management effectiveness: The Brazilian perspective. Natureza & Conservacao: The Brazilian Journal of Nature Conservation, 5 1: 152-162. Hockings, Marc (2000) Evaluating protected area management: A review of systems for assessing management effectiveness of protected areas. School of Natural & Rural Systems. Occasional Paper Series, 7 3: 1-56. Hockings, Marc and Phillips, Adrian (1999) How well are we doing: Some thoughts on the effectiveness of protected areas. Parks, 9 2: 5-14. Fisher, F., Hockings, M. and Hobson, R. (1998) Recreational impacts on waders on Fraser Island. The Sunbird, 28 1: 1-11. Hockings, Marc and Twyford, Keith (1997) Assessment and management of beach camping impacts within Fraser Island World Heritage Area, south-east Queensland, Australia. Australasian Journal of Environmental Management, 4 1: 26-39. Hockings, M. (1994) A survey of the tour operator’s role in marine park interpretation. Journal of Tourism Studies, 5 1: 16-28. Hockings, M (1981) Habitat Distribution and Species-Diversity of Small Mammals in Southeast Queensland in Relation to Vegetation Structure. Australian Wildlife Research, 8 1: 97-108. Dwyer, P. D., Hockings, M. and Willmer, J. (1979) Mammals of Cooloola and Beerwah. Proceedings of the Royal Society of Queensland, 90 65-84. Jacobson, Chris L., Hockings, Marc and Carter, Bi (2008). Decision mapping as a tool for integrating evaluation information into decision making. In: 14th International Symposium on Society and Resource Management: Linking Culture and Nature, Burlington, Vermont, USA, (). June 10 – 14 2008. Hockings, M., Jacobson, C., Kelman, J. and Wardell-Johnson, G. (2008). Evaluation and making complex data sets user-friendly. In: 14th International Symposium on Society and Resource Management, Burlington, Vermont, USA, (). 10-14 June, 2008. Australian protected area system: Directions and issues. Leverington, F., Figgis, P., Hockings, M., Sattler, P. S. and Worboys, G. (2007). Australian protected area system: Directions and issues.. In: Maria de Lourdes Nunes, Leide Yassuco Takahashi and VerônicaTheulen, Unidades de conservação : atualidades e tendências 2007. V Congresso Brasileiro de Unidades de Conservação, Foz do Iguaçu, Paraná, Brazil, (40-48). 17-21 June 2007. Mathur, Vinod, Verma, Ashok, Dudley, Nigel, Stolton, Sue, Hockings, Marcus and James, Robyn (2007). Kaziranga National Park and World Heritage site, India: Taking the long view. In: Marc Patry and Steven Ripley, World heritage forests: leveraging conservation at the landscape level.. Second World Heritage Forest Meeting, Nancy, France, (111-116). 9 - 11 March 2005. Lacerda, Leonardo, Hockings, Marcus, Ripley, Steven and Numa de Oliveira, Luiz Roberto (2007). Managing a protected area within it's wider landscape: tools for assessment and enhancement. In: Marc Patry and Steven Ripley, World Heritage Forests: Leveraging conservation at the landscape level. Second World Heritage Forest Meeting, Nancy, France, (73-82). 9 - 11 March 2005. Worachananant, Suchai, Carter, R.W. and Hockings, Marc (2006). Managing tourism in Surin Marine National Park, Thailand. In: The East Asian Seas Congress 2006, Haikou City, Hainan Province, China, (). 12-16 December, 2006. Worachananant, Suchai, Carter, Bill and Hockings, Marc (2006). Recovery and Management in Surin Marine National Park, Thailand. In: Post-Disaster Assessment and Monitoring of Changes in the Coastal, Ocean and Human Systems in the Indian Ocean and Asian Waters, Phuket, Thailand, (). 20-23 February, 2006. Hockings, M T and Leverington, F J (2006). Status of Management Effectiveness Evaluation and the CBD Programme of Work on Protected Areas. In: International Workshop for Better Management of Protected Areas. , Jeju Island, Korea, (47-60). 24-27 October 2006. Hockings, M. T. (2005). Evaluating management effectiveness of protected areas - dealing with diversity. In: Jennifer Bellamy, Regional Natural Resource Management Planning: The challenges of evaluation as seen through different lenses. CIRM Social Dimensions of NRM Working Group, Brisbane, Australia, (43-50). 15 October 2004. Worachananant, Suchai, Carter, R. W., Hockings, Marc, Reopanichkul, Pasinee and Thamrongnawasawat, Thon (2005). Management Response to the Tsunami, Surin Marine National Park, Thailand. In: J. C. Day, J. Senior, S. Monk and W. Neal, The First International Marine Protected Areas Congress (IMPAC 1), Waterfront Campus, Deakin University, Geelong, Australia, (372-374). 23-28 October, 2005. Axford, J. and Hockings, M. T. (2005). Sense of place: A tool to assist the meaningful engagement of communities in protected area management. In: Dave Gardiner and Katie Scott, Proceedings of International Conference on Engaging Communities. International Conference on Engaging Communities, Brisbane, QLD, Australia, (1-17). 14-17 August 2005. Hockings, M. T. (2005). Workshop Stream 5 Evaluating Management Effectiveness. In: Benefits Beyond Boundaries: Proceedings of the Vth IUCN World Parks Congress. Vth World Parks Congress: Benefits beyond boundaries, Durban, South Africa, (84-92). 8-17 September 2003. Hockings, M. T. (2004). Summary of Final Discussions - Vicenza Monitoring Workshop. In: Herb Stovel, Monitoring World Heritage. World Heritage 2002 - Shared Legacy, Common Responsibility, Vicenza, Italy, (118-123). 11-12 November 2002. Hockings, M. T. (2004). The WCPA Management Effectiveness Evaluation Framework - a basis for developing monitoring and evaluation programs to assess management of protected areas. In: World Heritage papers 10: Monitoring world heritage. Monitoring World Heritage, Vicenza, Italy, (24-30). 11-12 November 2002. Worachananant, Suchai, Carter, R.W., Hockings, Marc, Reopanichkul, Pasinee and Thamrongnawasawat, Thon (2004). Tourism Management in Surin Marine National Park, Thailand. In: Coastal Zone Asia Pacific (CZAP) 2004, Brisbane, Australia, (757-763). 5-9 September, 2004. Day, J., Hockings, M. T. and Jones, G. (2003). Measuring Effectiveness in Marine Protected Areas - Principles and practice. In: JP Beumer and A Grant and DC Smith, Aquatic Protected Areas - What works best and how do we know?. World Congress on Aquatic Protected areas, Cairns, Queensland, (401-414). 14-17 August 2002. Management Effectiveness - assessing management of protected areas? Hockings, M. T., Stolton, S. and Dudley, N. (2002). Management Effectiveness - assessing management of protected areas?. In: A Regional Symposium in the Series of International Symposia on Society and Resource Management. Global Challenges of Parks & Protected Area Management Symposium, La Maddalena National Park, Sardinia, Italy, (). 10-13 October 2002. Hockings, M. T. (2002). The IUCN World Commission on Protected Areas Framework for Evaluating Management Effectiveness of Protected Areas. In: African Evaluation Association 2nd Conference, Nairobi, Kenya, (). 10-14 June 2002. Dudley, Nigel, Hockings, Marc, Stolton, Sue and Kiernon, Michael (1999). Effectiveness of forest protected areas: A paper for the IFF international meeting on protected areas. In: Proceedings of the Intergovernmental Forum on Forests Intersessional Meeting. Intergovernmental Forum on Forests Intersessional Meeting, Puerto Rico, (1-11). March, 1999. Leverington, F. and Hockings, M. T. (1999). From Conflict to Cooperation : Towards a Better Model for Park-People Interactions. In: M. Boyd, Book of abstracts: The 1999 International Symposium on Society and Resource Management - application of social science to resource management in the Asia-Pacific region. 1999 International Symposium on Society and Resource Management - application of social science to resource management in the Asia-Pacific region, The University of Queensland, Brisbane, (). July, 1999. What could World Heritage listing deliver for Indigenous people? The Australian experience in global context. Travel grant for World Conservation Congress in Montreal. Understanding illegal activity in protected areas: is there a role for environmental criminology in protected area management? Protected area management under climate change: A framework for decision making. Protecting naturally restricted species in a fragmented landscape.- A case study from the Brigalow Belt South bioregion, Queensland, Australia. Constraints and Enabling Factors for Effective Conservation in Vietnam: Cat Ba Island Case Study. What Constitutes Success in pacific Island Comunity Conserved Areas?